The employment law firm of Polat Law Group PLLC provides comprehensive counseling and aggressive representation in all areas of employment law. Our distinct litigation experience representing employees and management provides you the unique and necessary experience other lawyers lack in protecting workers through the legal tactics that you may need to overcome. As employment attorneys, we recognize that your job is your livelihood and should allow you to achieve your goals and provide you with financial security so you may provide for yourself and your family. Your employer's unlawful interference with your job should not be tolerated. The Polat Law Group fights to protect your rights in the workplace. We are experienced and tenacious litigators providing representation to employees in New Jersey and New York City seeking an employment attorney to guide them through the legal process. Contingency Rate & Flat rate for draft of severance agreements, employment agreement, non-compete agreements and review of severance agreements and packages. 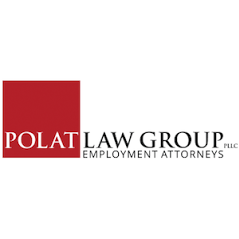 The employment law firm of Polat Law Group PLLC provides comprehensive counseling and aggressive representation in all areas of employment law. Our distinct litigation experience representing employees and management provides you the unique and necessary experience other lawyers lack in protecting workers through the legal tactics that you may need to overcome. As employment attorneys, we recognize that your job is your livelihood and should allow you to achieve your goals and provide you with financial security so you may provide for yourself and your family. Your employer's unlawful interference with your job should not be tolerated. The Polat Law Group fights to protect your rights in the workplace. We are experienced and tenacious litigators providing representation to employees in New Jersey and New York City seeking an employment attorney to guide them through the legal process. Call today for a free consultation. We specialize in all aspects of employment law. Our unique experience enables us to focus exclusively on representing employees overcome workplace discrimination, harassment, and other statuary violations for wrongful termination. Attorney Emre Polat is an experienced New York City employment attorney. He has substantial litigation experience in all aspects of employment law, including lawsuits arising out of wrongful termination, discrimination, harassment, wage and hour violations, medical leave violations, whistleblower claims, retaliation, non-compete agreements, and severance agreements. Mr. Polat has personally litigated countless matters from inception through trial. He has represented both employees and employers who need a discrimination attorney or assistance in other claims. His advocacy and experience has earned him notable recognition and respect. Mr. Polat has personally litigated countless matters from inception through trial. His advocacy and experience has earned him notable recognition and respect. His experience litigating employment matters on behalf of employees and employers offers clients the unique litigation skills other attorneys lack in foreseeing legal tactics they may need to overcome. Attorney Emre Polat is admitted to practice in the United States Supreme Court, the highest court in the country, as well as the federal and state courts of New York and New Jersey, including the U.S. District Court for the Southern District of New York, the U.S. District Court for the Eastern District of New York, the United States Court of Appeals for the Second Circuit, and the U.S. District Court for the District of New Jersey. Mr. Polat also frequently makes appearances before the Equal Employment Opportunity Commission (EEOC), New York State Division of Human Rights, New York City Commission on Human Rights, and the New Jersey Civil Rights Commission. He is a member of the New York State Bar Association, the New Jersey State Bar Association, the American Bar Association, the National Employment Law Association, and the New York State Trial Lawyers Association. Employees and employers in New York City frequently consult with Mr. Polat regarding his expertise in handling employment matters and civil litigation. Mr. Polat graduated with dual degrees in Finance and Legal Studies in Business from Seton Hall University. He received his Juris Doctorate from Hofstra University School of Law. His legal work experience has included positions with a plaintiff's employment law firm and a highly regarded defense-side regional law firm. Mr. Polat also held positions with the New Jersey Office of the Attorney General, the corporate office of the National Basketball Association (NBA), and the office of the Honorable Senator Frank R. Lautenberg. As recognition for his work as a dedicated and aggressive litigator in the employment area, Mr. Polat has been recognized by Metro New York Super Lawyers as a rising star, consecutively since 2014. Mr. Polat's vast knowledge of the employment laws, his settlement negotiation skills, and litigation strategy have brought him well-regarded recognition among his peers from both sides of a lawsuit. Mr. Polat brings his insight to bear on either side of an employment matter or lawsuit in New York or New Jersey. Mr. Polat recognizes that employees are often treated in different ways because of their race, religion, color, sexual orientation, national origin, or gender. In some cases, employers even retaliate against workers who file complaints or even express their concerns related to discrimination, harassment, or hostile work environment. 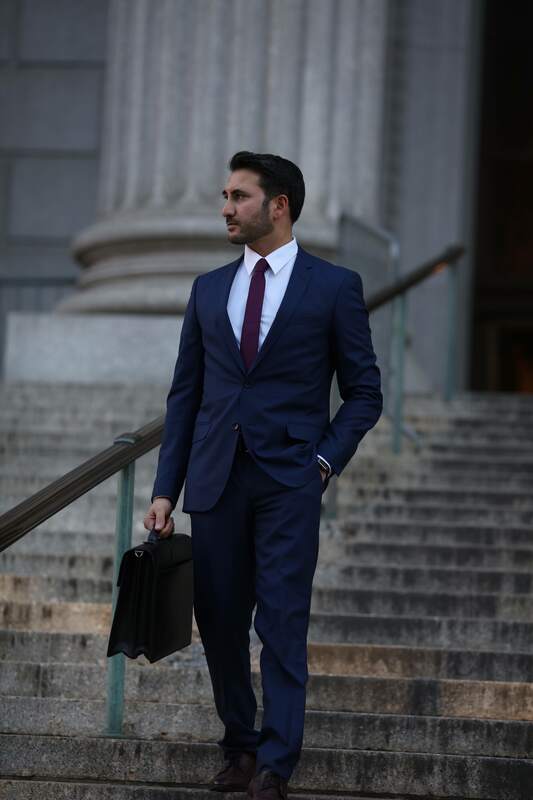 Mr. Polat can provide knowledgeable counsel regarding how to handle or file a discrimination charge with the EEOC or a civil lawsuit brought under federal law, the New York Human Rights Law, the New York City Human Rights Law, or the New Jersey Law Against Discrimination. One of the primary federal laws prohibiting discrimination is Title VII of the Civil Rights Act of 1964. The New York and New Jersey state laws apply to most employers and there is no cap on compensatory damages under either state law. In some instances, the New York City Human Rights Law may be the most appropriate law under which to file a discrimination complaint as it provides broader protection for discrimination, harassment, and retaliation and provides more relief than other statutes. Another important federal anti-discrimination law is the Americans with Disabilities Act (ADA). In addition to prohibiting discrimination against an individual with a disability or someone who is perceived to have a disability, the ADA entitles an employee to request a reasonable accommodation. Employers are required to provide this accommodation unless doing so would cause an undue hardship. New York and New Jersey have more expansive definitions of "disability," and in many cases, it makes more sense to file suit under the state or city law for disability discrimination or retaliation. Both employees and employers should seek counsel from a knowledgeable New York City employment lawyer when they are faced with the prospect of litigation.